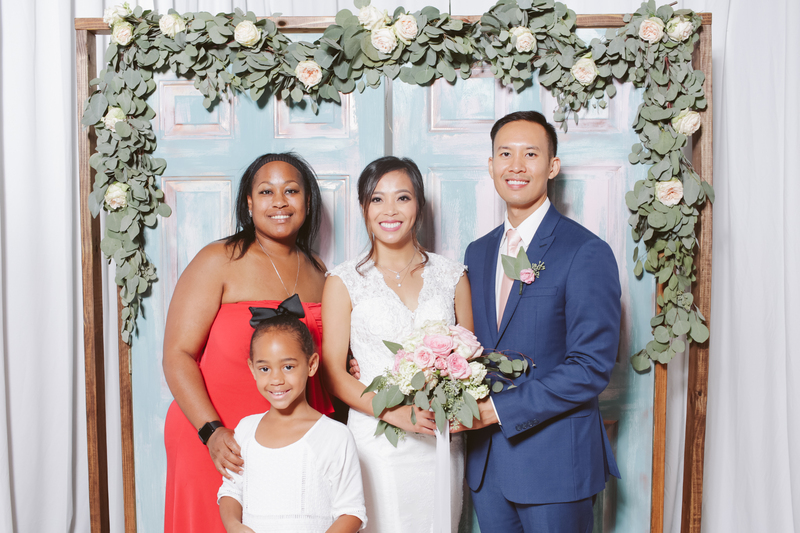 At MemoryBox Photo Booth we provide an automated photo booth system however there are occasions where we stand in as the photographer. 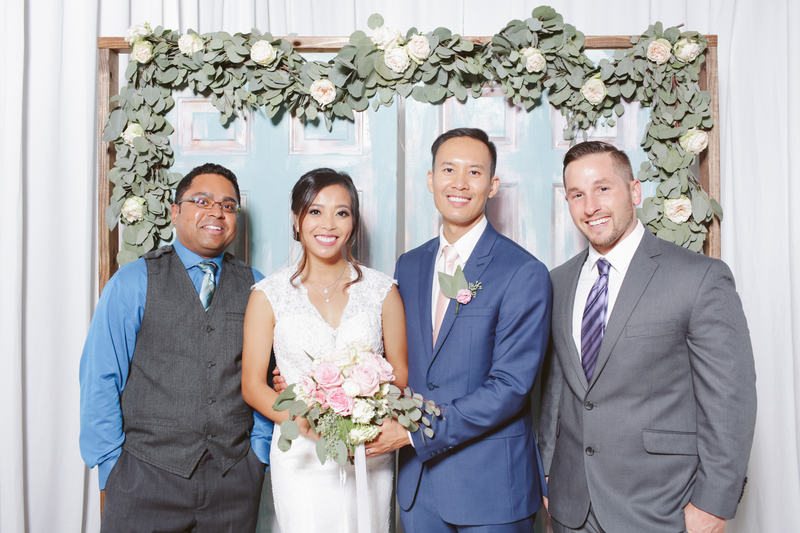 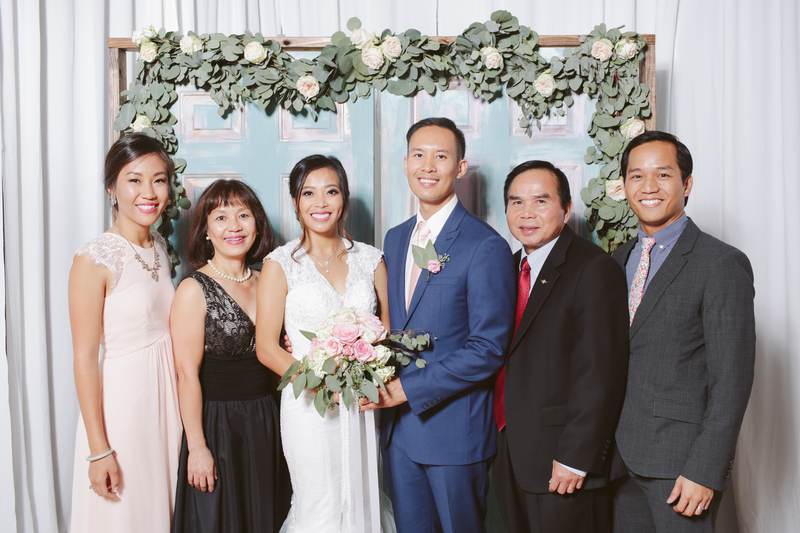 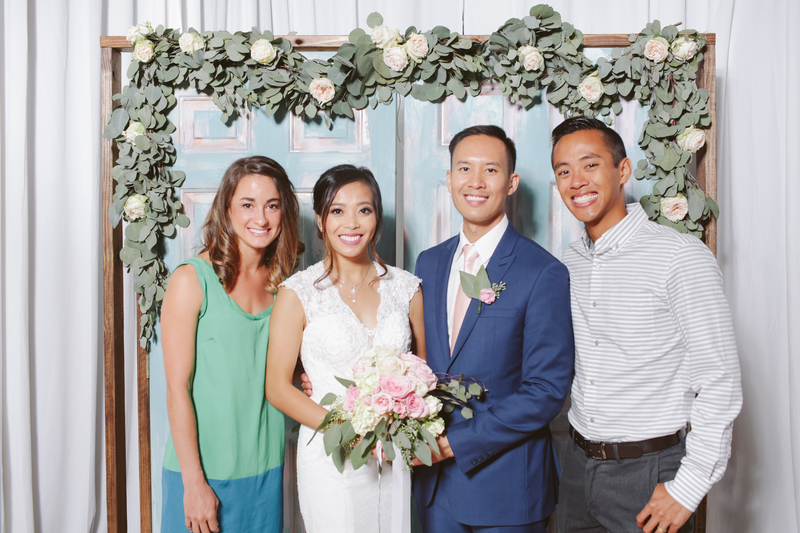 A lot of times at Asian weddings, the bride and groom request that we take photos of them with each of their guests. 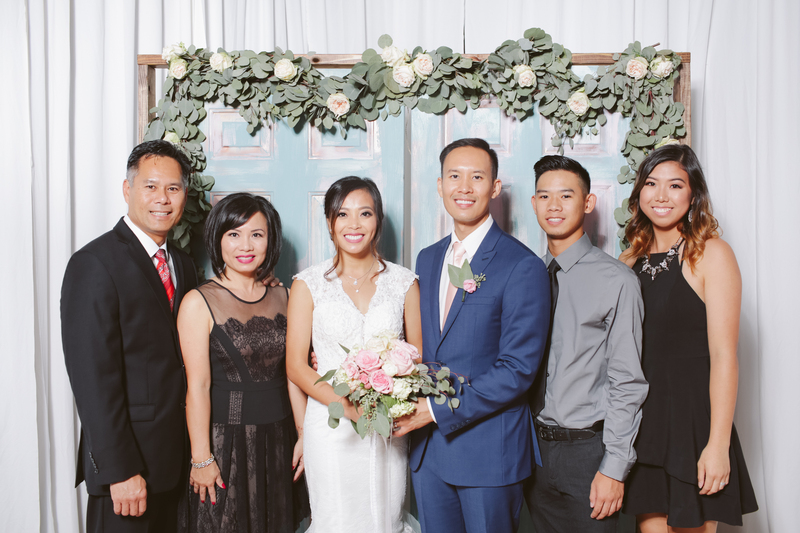 The photos are then printed out right away much like a photo booth in a 4″x6″ format. 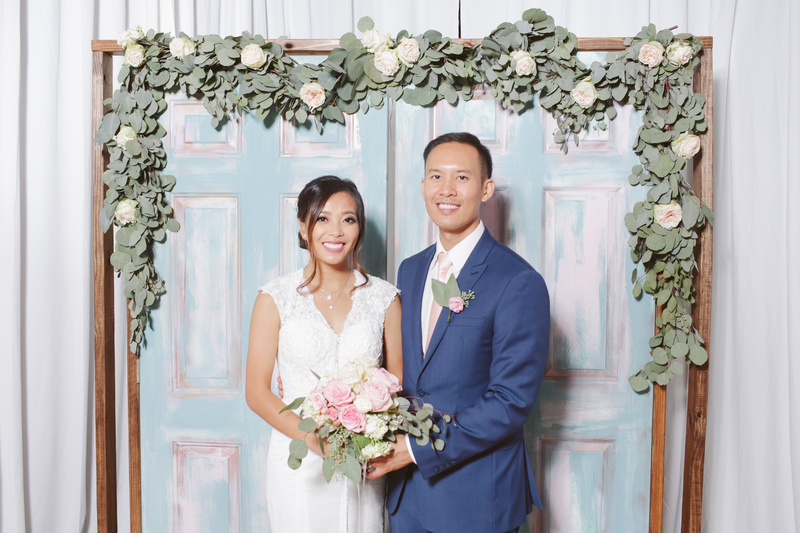 This serves as a memorabilia for the guests because they have a photo with the couple. 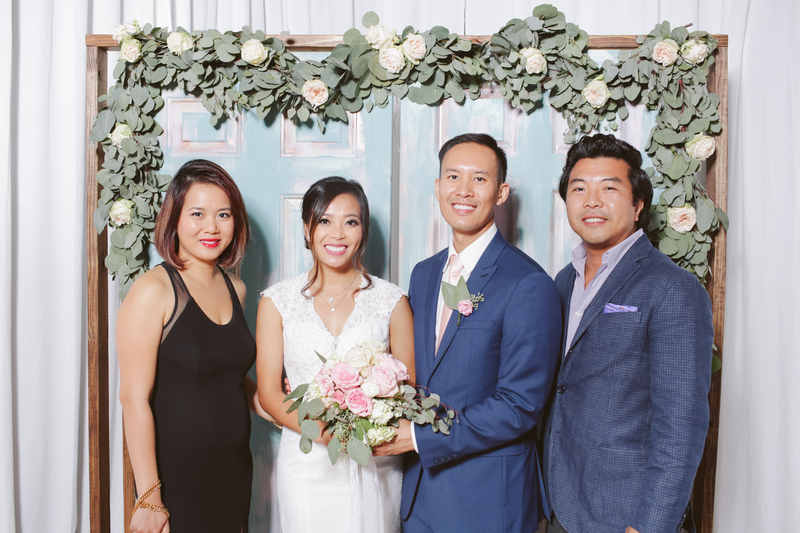 This also gives a great opportunity for the couple to greet their guests and thank them for coming. 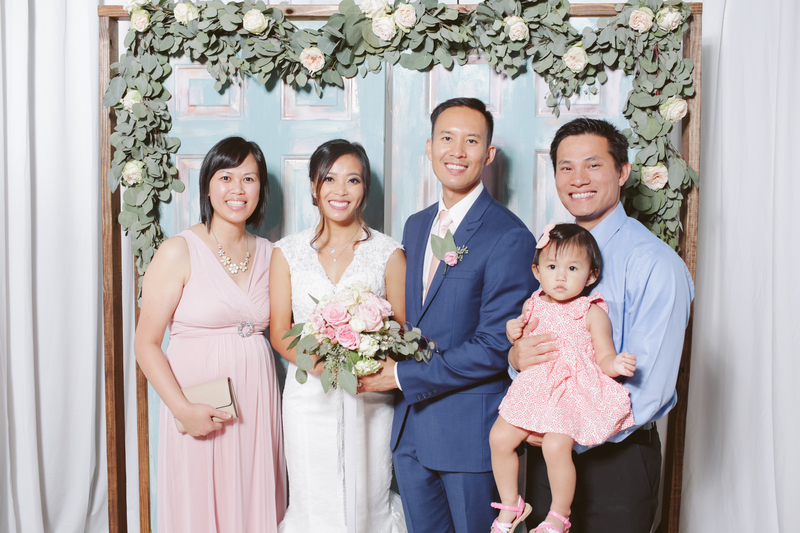 This is a $350 add-on to any MemoryBox Photo Booth package or HN Photography package. 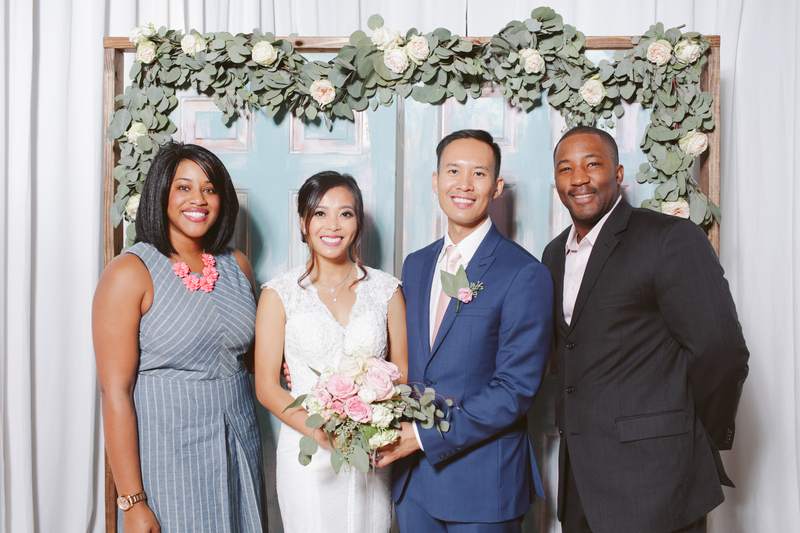 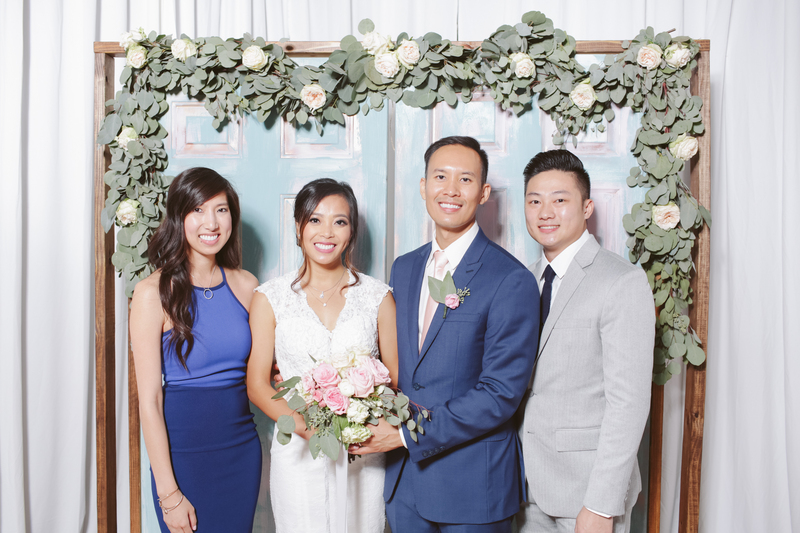 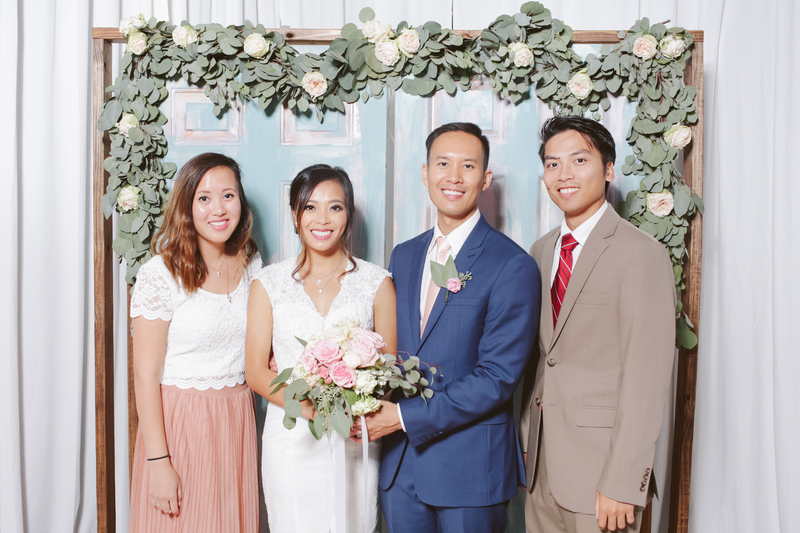 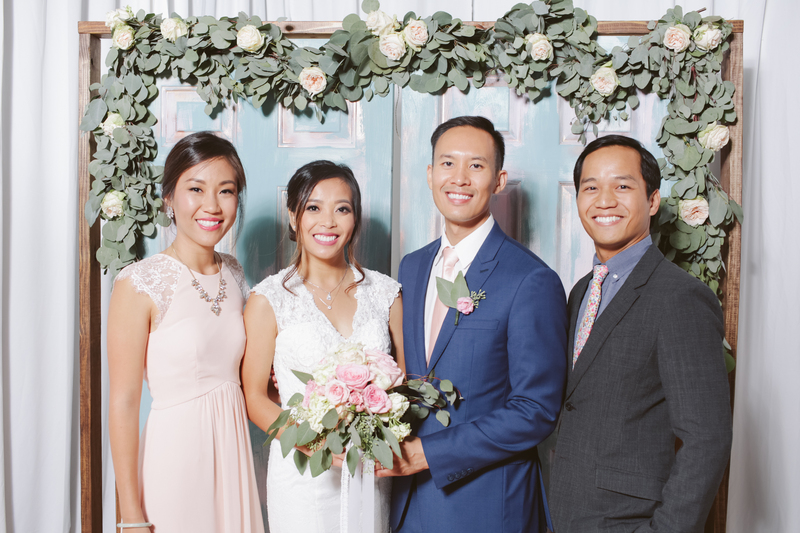 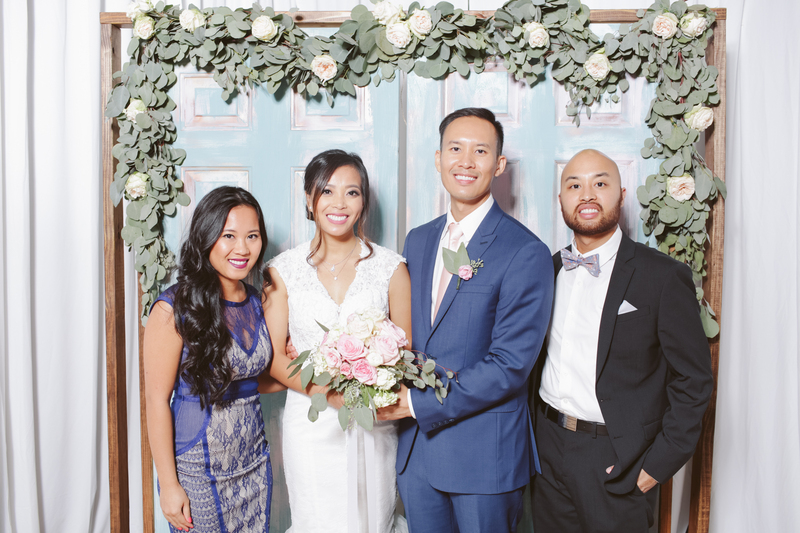 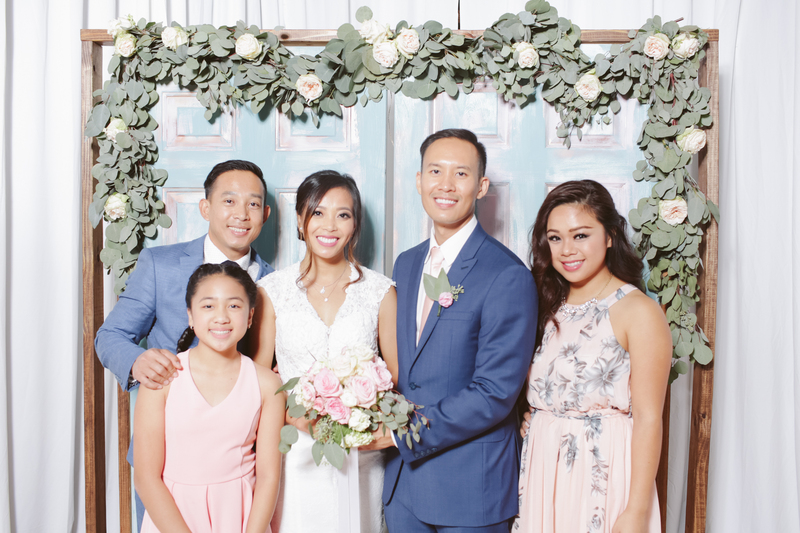 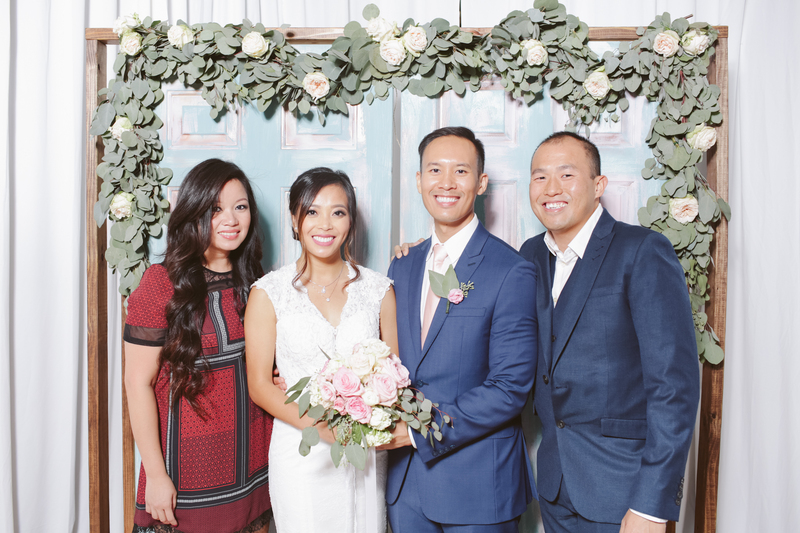 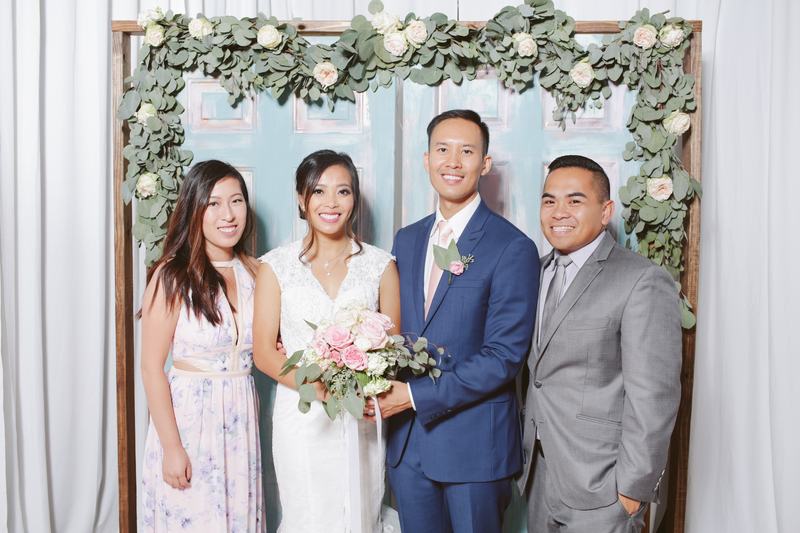 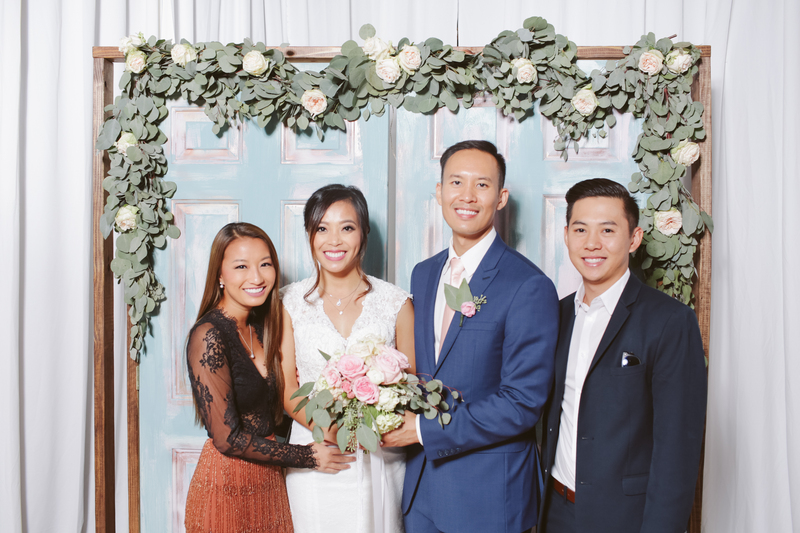 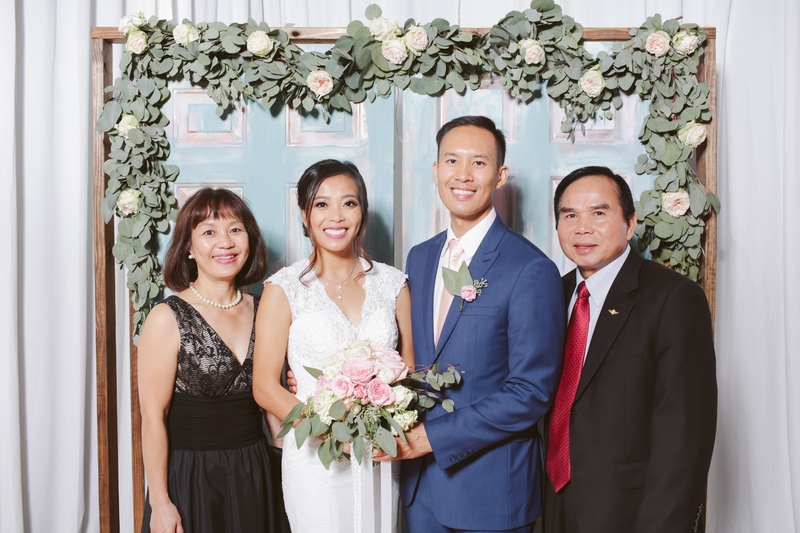 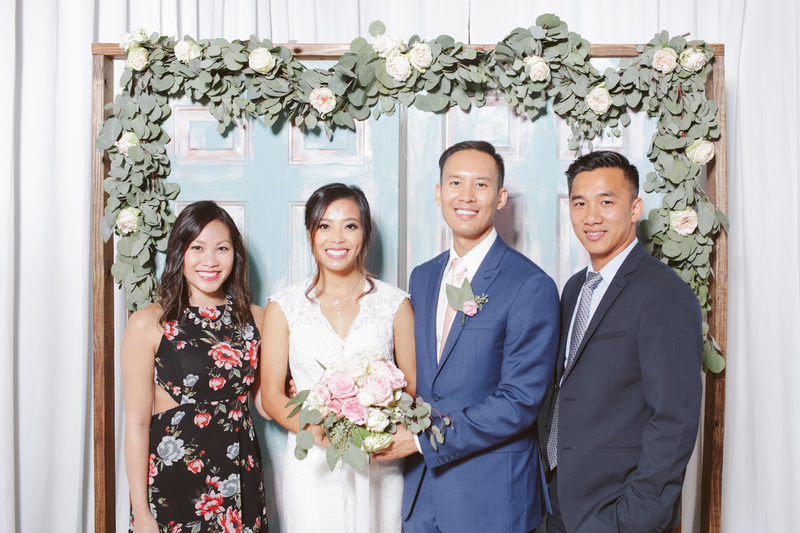 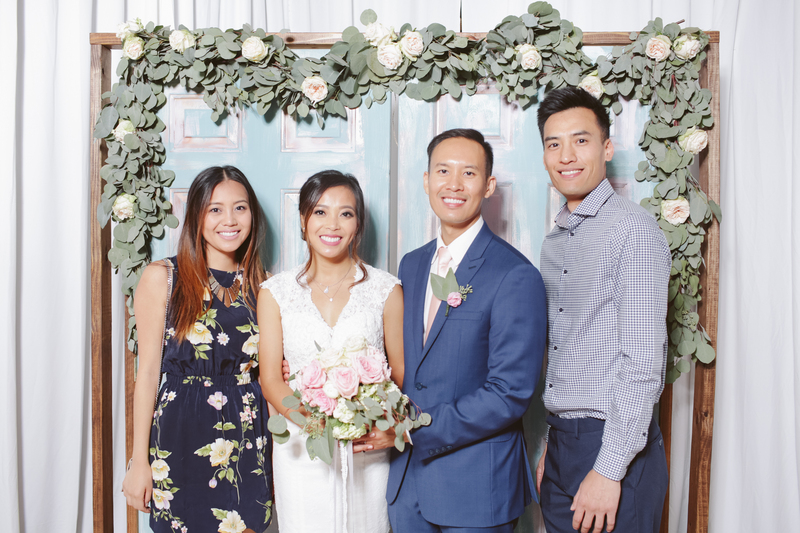 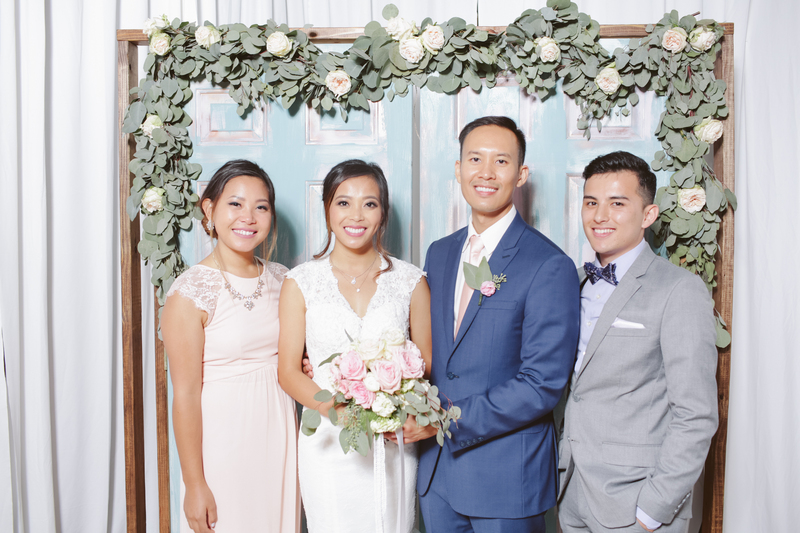 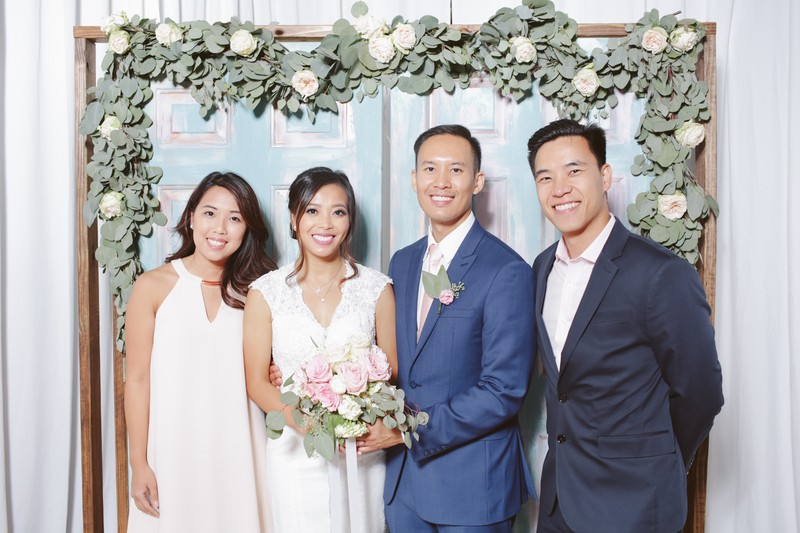 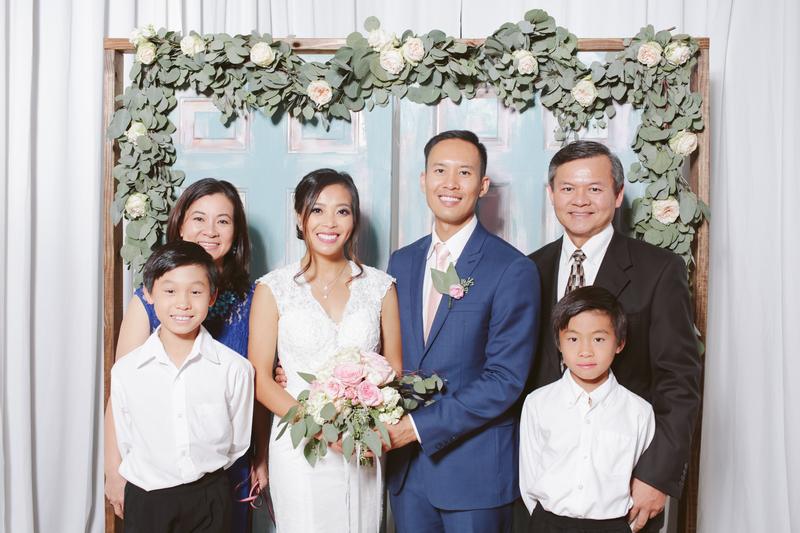 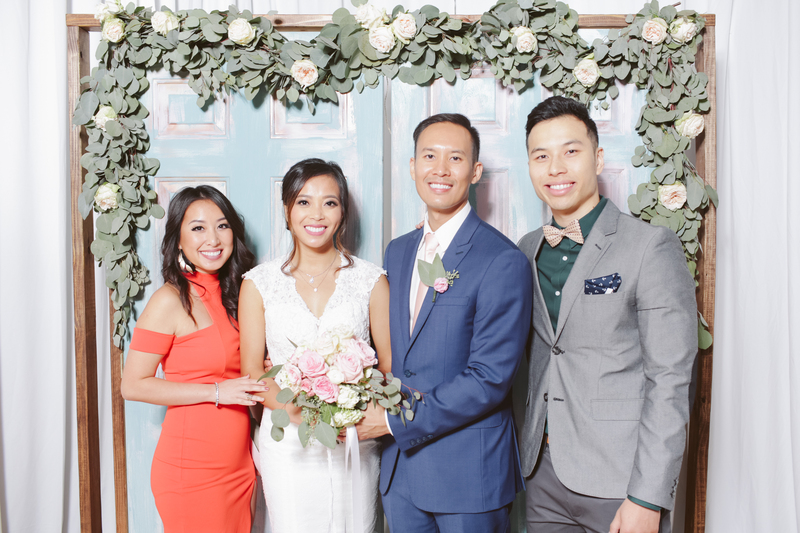 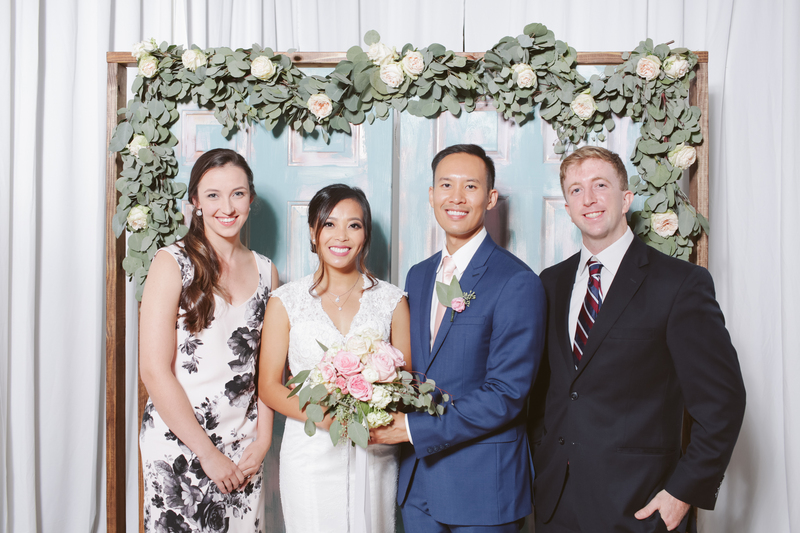 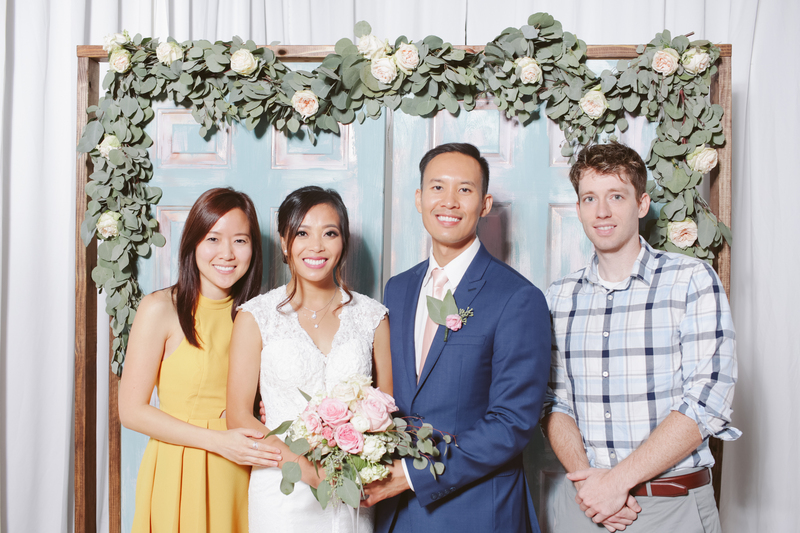 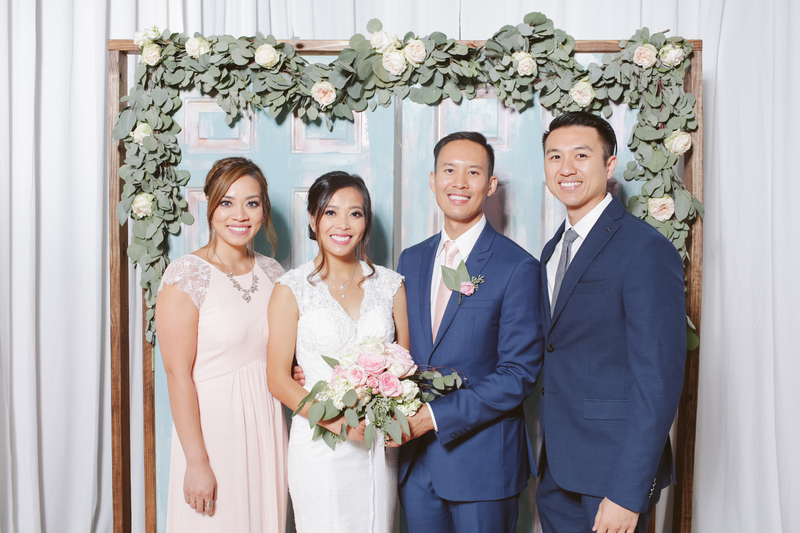 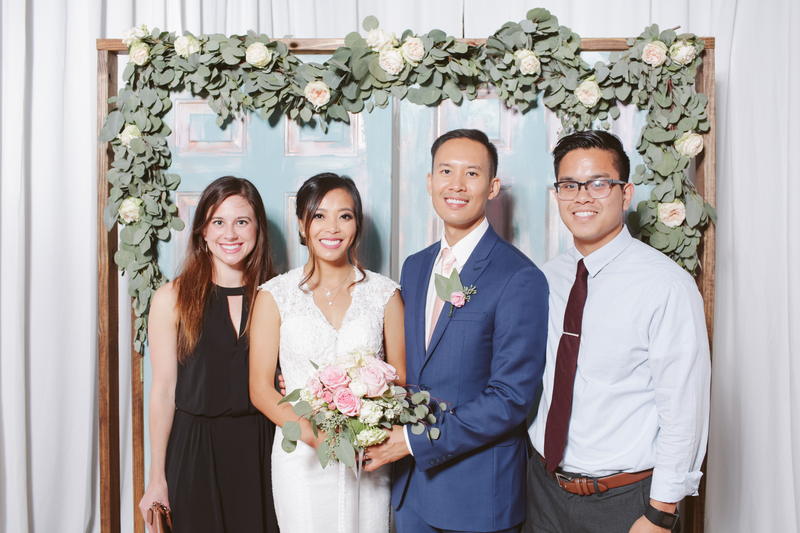 The rustic/vintage backdrop that the bride made was awesome. 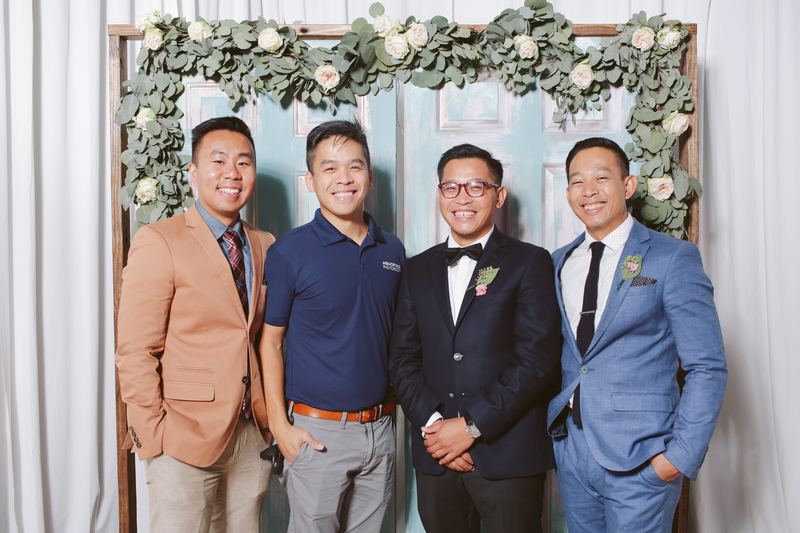 This is definitely much different than what we are used to. 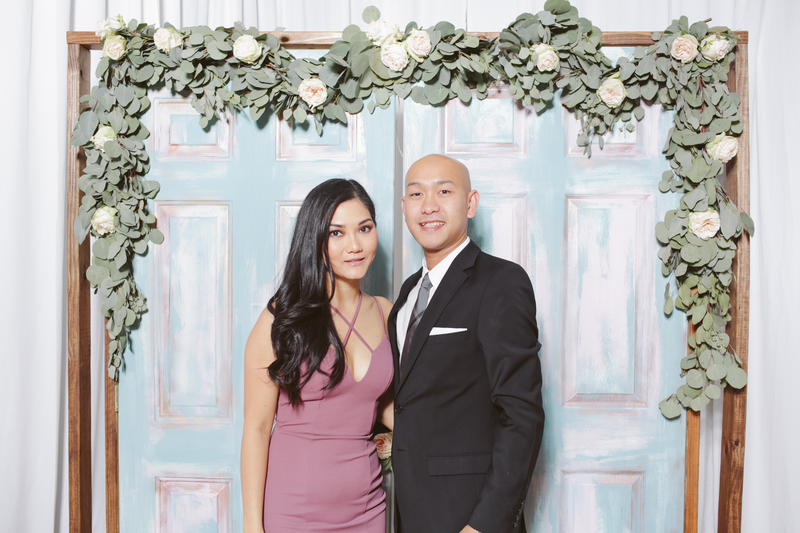 The door frame certainly made it easier to frame the photo.